Provide comfort for the family of James Jenkins with a meaningful gesture of sympathy. Mr. James Michael Jenkins, affectionally known as “Shine” by family and friends, was born on July 30, 1953, to the late James Jenkins Sr., and Shirley Henry Jenkins. The Lord called James home on March 29, 2019. James was a product of the Greenville County School System and graduated from Wade Hampton High School in 1972. Upon completing high school, he entered into the United States Marine Corps where he specialized as a riffle technician. After serving his country for many years, James returned to Greenville and attended Greenville Technical College where he earned his certification in auto mechanics and worked as a successful auto mechanic until his retirement. James was a faithful member of Mount Calvary Interdenominational Church in Anderson, S.C. where he worked in the media ministry and recorded the weekly Sunday services; he later attended Nicholtown Missionary Baptist Church until his health declined. James was a proud, stylish man who loved his family. He enjoyed fishing, playing cards, and spending time with his grandchildren. His memory will forever be cherished by his three daughters, Kayla Jenkins-Edwards of Miami, FL, Maya Fedrick (Jonathan) of Dallas, NC, and Jamie Walker of Greer, SC; three sisters, Dianne Black (Gerald) of Spartanburg, SC, and Rochelle Jenkins and Christine McClellan, both of Greenville, SC; one brother, David Gibson of Seattle, WA; a devoted companion, Ms. Delores Rodgers; six grandchildren, Kristan, Malik, Madison, Morgan, Julisa and Tiyana; one great-grandchild, Genesis; along with a host of nieces, nephews, other family members and friends. 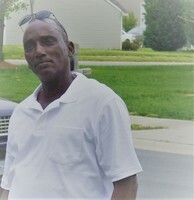 To the Family of Michael Jenkins, Sending my condolences & prayers to the family. I am sorry for the loss of your loved one, Me. James Jenkins. Expressing my sincere condolences to the family. May the God of all comfort sustain each one of you during your time of grief. 2 Corinthians 1:3,4. To receive words of comfort from the bible, please visit our website JW.ORG. There is an encouraging Brochure entitled " When Someone You Love Dies." that will truly give your family words of comfort from the Bible.